Police Scotland is increasing patrols by armed officers after yesterday’s terror attack against mosque worshippers in London. Ten people were injured and one man died after a van was driven into a crowd of worshippers at Finsbury Park Mosque in North London. 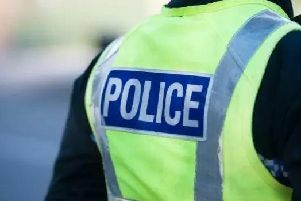 Today Police Scotland announced that in response to the outrage it is boosting its presence around Scotland’s 84 mosques, while stressing there is no specific threat. The Muslim Council of Scotland has advised people to take extra precautions if travelling alone or after dark. Assistant Chief Constable Nelson Telfer said: “We continue to engage with all communities providing reassurance and appropriate support. “Communities absolutely do defeat terrorism. Condemning the Finsbury attack, a spokesman for the Muslim Council for Scotland said: “This attack was aimed directly at the vibrant Muslim community during the Month of Ramadan at a time when many families would have been returning home after night time prayers. “Our thoughts and prayers are with the victims, the injured and anyone affected by this tragedy. “Our heart goes out to the people of London who have been through so much in the last few months and are still waiting for news on many friends and family in the Grenfell Tower tragedy. “This attack goes to show how hate and terrorism has no religion or face. “The motive of these people is to spread division. “There is no need to be alarmed but we must remain vigilant.